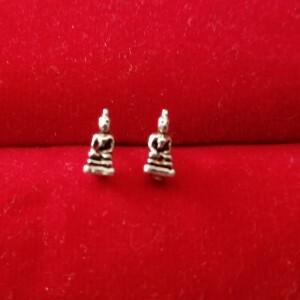 Buddha Enlightenment falls on the fourth month of the Tibetan lunar calendar and is a month honoring The Buddha’s Life. 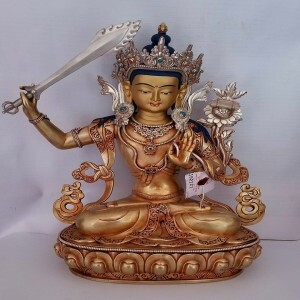 Namely Saga Dawa or the month of merits, is one of the most sacred for Buddhists, because we celebrate the BIRTH, ENLIGHTENMENT AND DEATH (PARINIRVANA) of the Buddha Shakyamuni. 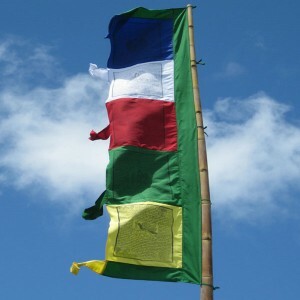 Tibetan Buddhists make an extra efforts to practice more generosity, virtue, compassion, and conduct, in order to accumulate greater merit. 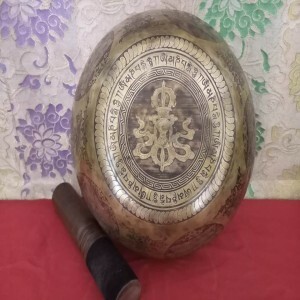 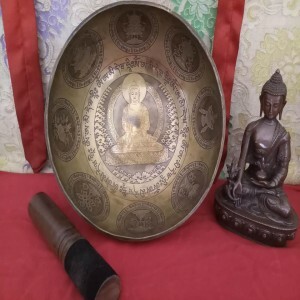 These Buddha Enlightenment Full Moon Singing Bowls are crafted on a Saga Dawa Full Moon evening by enhancing the subtle moon energy for healing vibrations and with a special blessing of Buddha as Buddha was enlightened on these very day. 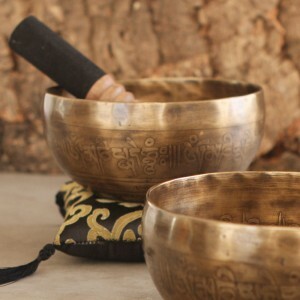 These singing bowls are chosen carefully by sound testing to ensure their healing properties. 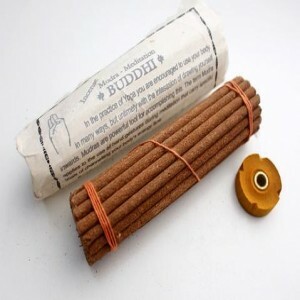 These exclusive healing masterpieces are carefully made for long lasting and powerful sounds. 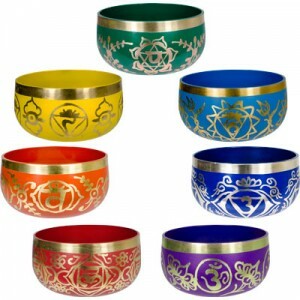 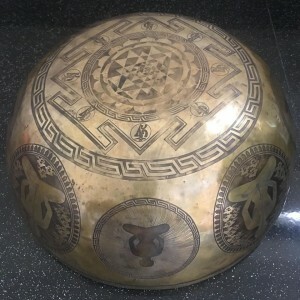 Traditionally, the bowls were made of seven sacred metals, corresponding to the seven planets. 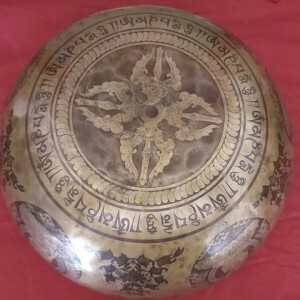 During the process of making these full moon singing bowls firstly a puja was done to the gods and deities by high priest and after that the singing bowls is crafted by our renowned artist. 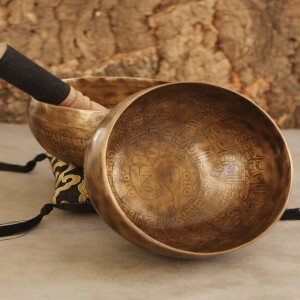 These Singing Bowls are very special unlike any other Full Moon Singing Bowls. 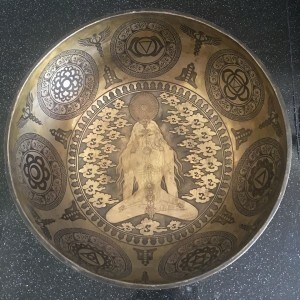 The outside of the bowl is engraved with a sacred Buddhist mantra and Shou, or the Chinese character for longevity. 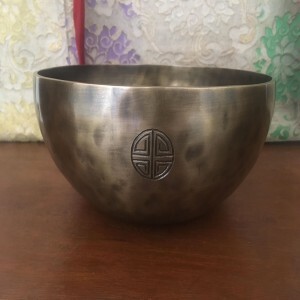 This bowl can easily used to enhance meditation. 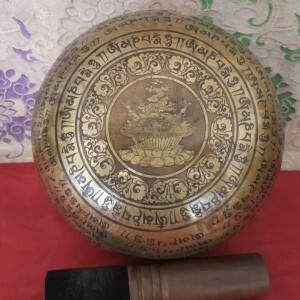 Simply strike the wooden mallet gently against the side of the bowl, and then run it around the bowl’s edge. 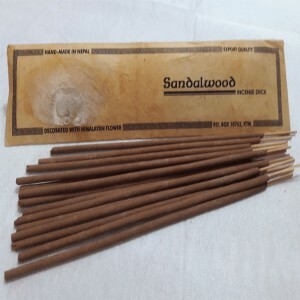 This will result in beautiful tones that promote deep relaxation. 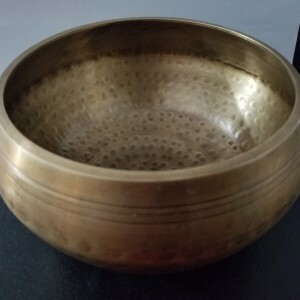 The sounds generated by these Singing Bowls are a type of energy medicine that promote healing from stress disorders, pain, depression, and most forms of disease. 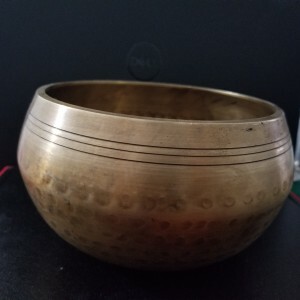 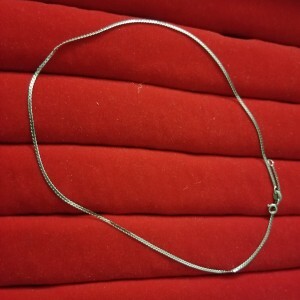 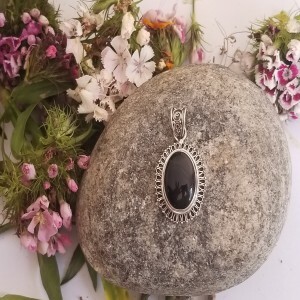 This item was handmade and may feature slight variations in overall appearance, finish and design. 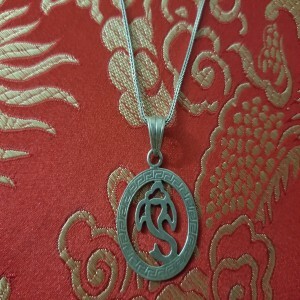 Such details speak to the piece’s handmade construction and enhance its individual beauty. 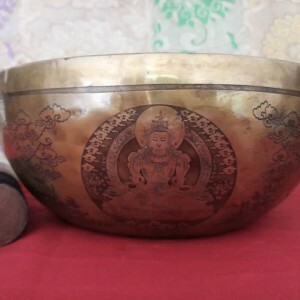 Each bowl is handmade, So, the size and weight of each bowl will vary. 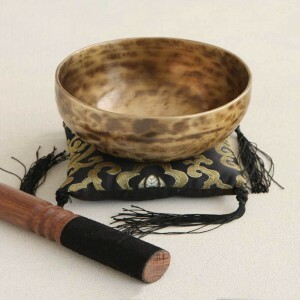 Wooden striker is included with these singing bowls. 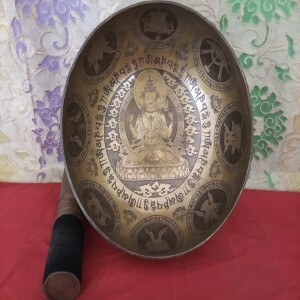 This Buddha Enlightenment Full Moon Himalayan Singing Bowls sound very good and helpful for my meditation. 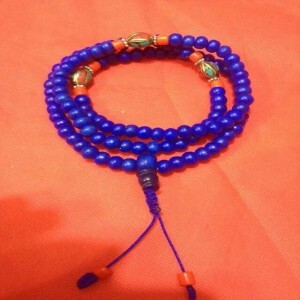 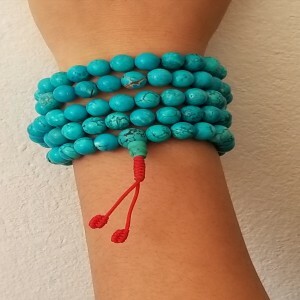 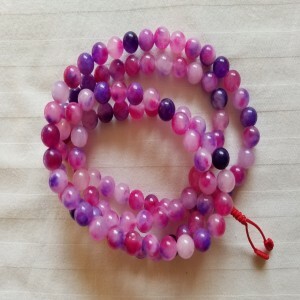 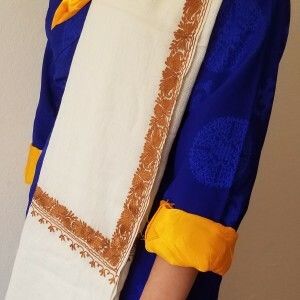 Thanks Norgay Himalayan Handicrafts.